So how do you get the most iconic look of summer 2018? Head to the barbers and ask for a soft scissor cut on the back and sides, keeping it natural at the back but making sure you’ve got that length on top. 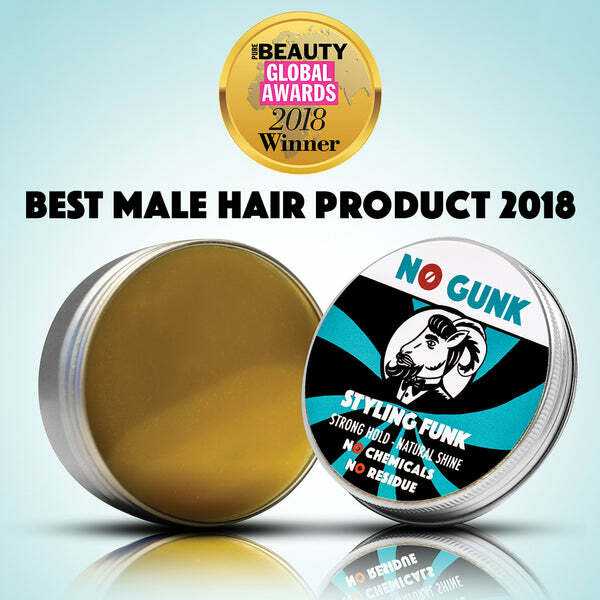 For that slick Harry Kane style, all year round, use our award winning NO GUNK Styling Funk to ensure your hair always looks World Cup ready. After the shower, just rub a small amount into your hands, on towel dry hair. Apply from root to tip. Slick your hair back with a comb and use a hair dryer for a sharper look. Apply a little more product if necessary, otherwise you're good to go.